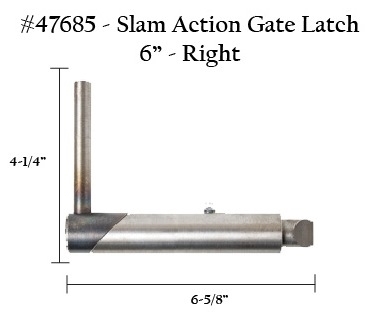 Our 6" Slam Action Gate Latches are spring loaded and made from high quality steel. The latch is in a normally closed position/slam to shut. Includes grease zert. © Copyright 2016 Ranchers Pipe and Steel. All Rights Reserved. Built with Volusion.